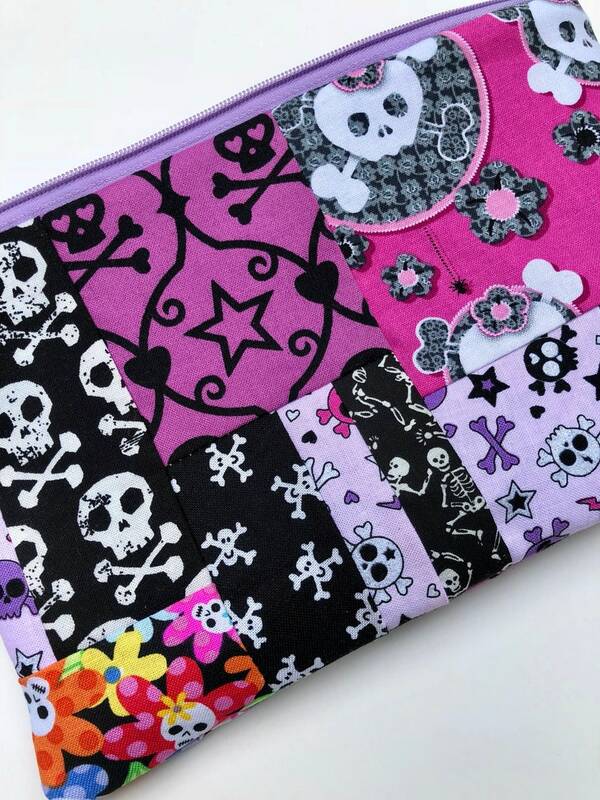 This one of a kind zipper pouch was made using lots of different skulls fabric scraps. I try to use up as many scraps as I can. I gave the pouch a lavender zipper and a solid lavender lining.